When you provide healthcare benefits to employees at your vision clinic, you are providing them the opportunity to acquire quality healthcare for their needs and the needs of their families. To make the health and medical coverage of your employees a priority, it allows you to recruit valuable people and retain them in your employ. It is, in fact, one of the most powerful attraction factors for potential employees, and yet 49 percent of small businesses say they can’t attract and retain top quality employees without competitive benefits (entrepreneur.com). Failing to offer healthcare benefits may prove to be a costly business decision, as it can drive away top potential candidates, as well as existing employees who leave in favor of companies who can offer them more. From an employer perspective, however, group health insurance can be, and often is, outrageously expensive. Person for person, healthcare in the U.S. costs approximately twice as much as it does in the rest of the developed world. To illustrate this, if our $3 trillion healthcare sector were its own country, it would be the world’s fifth largest economy. But if you’re an employer, you still need to offer competitive healthcare benefits to stay relevant and in demand. The solution is premium reimbursement for individual health insurance. Save time. When coupled with premium reimbursement, reimbursements are administered in 5 to 10 minutes per month. Premium reimbursement plans are quick, simple to use, and easy to access. Using a product like ZaneHealth, employees have access to an online portal to request reimbursements, which are typically processed within 1-2 hours. Save money. Individual health insurance costs 20% to 60% less than group health insurance. One primary reason employers are canceling group health insurance in favor of individual health insurance and defined contribution healthcare is that individual health insurance costs less. The average cost to cover an employee with group health insurance has increased from $2,196 per year in 1999 to $6,025 per year in 2014. Provide choice. Individual health insurance allows you and your employees to choose what plan best fits you. People have varying medical needs and family structures and they appreciate having more than one or two insurance plans to choose from. Individual health insurance solves the ‘one size fits all’ problem. Recruit better. If you are an employer who offers healthcare benefits, potential candidates are more likely to choose employment with your company, rather than a competitor. Medical care is something that Americans need and wants and you can be in the empowering position of offering individual health insurance reimbursement. Individual health insurance is portable, customizable, and is movable from employer to employer, making it more attractive to employees than group healthcare plans. Group healthcare coverage can be complicated, time consuming, and certainly very expensive. 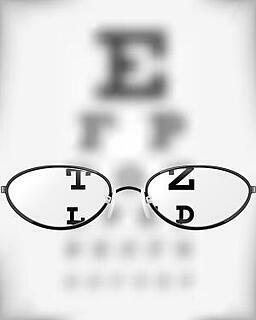 However, offering healthcare benefits to your vision clinic employees is a priority. Premium reimbursement for individual health insurance is a simple, cost effective and practical way to offer your employees quality health care. It’s a mutually beneficial healthcare solution for both employee and employer that allows for portability, accessibility and ease.